"We are a company of innovation." You’d be forgiven for thinking that hard drives are boring and the technology behind them isn’t very exciting. You’d also be wrong. Here at Western Digital we’re dedicated to pushing the boundaries of physics and technology to produce solutions that are bigger, faster, and more cost effective than anything to come before them. We have what is arguably the broadest storage portfolio of any company. We make everything from silicon to systems: we manufacture the raw NAND in our fab for our SSD products; we make heads and disks that are the fundamental technology for our HDDs; we also make storage systems and rack-scale object storage systems complete with software and services. 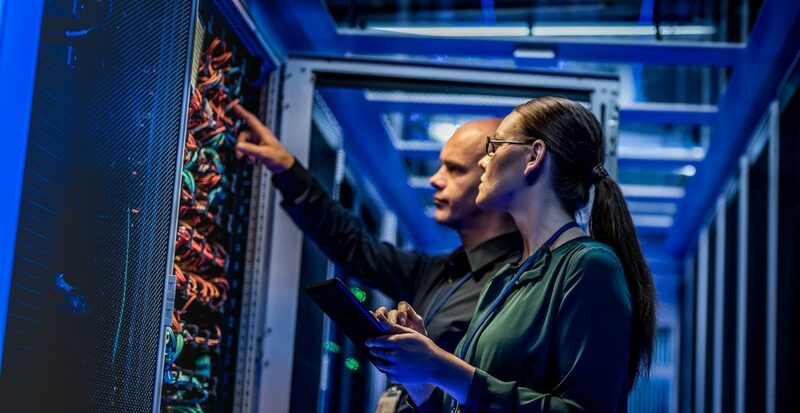 The data infrastructure ecosystem is growing more diverse, with purpose-built and tailored solutions evolving to meet growing workload demands. Our portfolio is a great example of the different ways and choices customers have to build optimized data infrastructure. Hard drives have been the mainstay of data centers due to their ability to deliver high capacity and acceptable speeds with exceptional economics. With organizations contending with the exponential growth of data, hard drives are the key technology housing big data today, and they will be for the foreseeable future due to incredible R&D efforts. From behind the scenes, I can tell you that the ingenuity, research and technologies that make hard drive advancement possible, is sometimes close to magic. Hard drives have been around a long time. Through IBM’s storage division, now part of Western Digital, we invented hard drives over 60 years ago, in 1956, after all. Even after 60 years, though, hard drives are still advancing by great leaps. This is the first of a series of blogs detailing upcoming technologies that Western Digital is planning to deliver to customers to enable the next 60 years of hard drives. We’re going to look at technologies to allow hard drives to store more data, revolutionary hardware designs that dramatically improve hard drive performance, and advanced methods of enabling better use of those faster, denser hard drives in cloud data centers. - Probably the greatest quantum leap in HDD technology in recent times, Western Digital’s world-first HelioSeal technology replaces the air in a hard drive with helium, and hermetically seals it tightly enough to sustain a five year limited warranty and 2.5M MTBF. Because sealed helium has less drag and is less turbulent than air, we are able to increase capacity of our hard drives using thinner media and incredible mechanical ingenuity while reducing power. Here’s a look at what it took to bring prototype into an award-winning product. - Shingled Magnetic Recording allows increasing the capacity of hard drives by reducing the spacing of recording tracks so much that they overlap slightly, just like shingles on a roof. For cold storage applications where data is updated infrequently, such as many cloud applications, backups and surveillance, SMR helps dramatically minimize storage cost. Here’s a great example how it’s powering Dropbox’s operations. - Security and data protections are top concerns for enterprises today. The costs of a data breach or malware infestation can be damaging not only to the company’s bottom line but also, just as importantly, to their reputation. Features such as ISE, which allows hard drives to have their data rendered inaccessible in the blink of an eye, and cryptographically signed firmware, which helps ensures that only vendor supplied code can be run on the drive, help provide peace of mind to Chief Security Officers everywhere. - Composable Infrastructure is a new architecture where compute, storage and network are disaggregated into shared resource pools and can be ‘composed’ on-the-fly to create a virtual application environments. Such technology can allow users to achieve the optimal amount of storage, compute, and network, without requiring them to over-provision hardware. This technology has made incredible breakthroughs using NVMe over Fabrics technology, and we’re the first to extend this technology to work with both SSDs and hard drives. With Western Digital Composable Infrastructure, cloud providers can scale SSD speed and hard drive capacity in the most efficient way possible. These are just a few of the exciting technologies available today on our hard drives. You can get more detailed information about these features and our hard drive portfolio here. In the next blog, we’ll talk about the technology we’re developing that will allow customizing hard drive capacity and performance — on the fly.